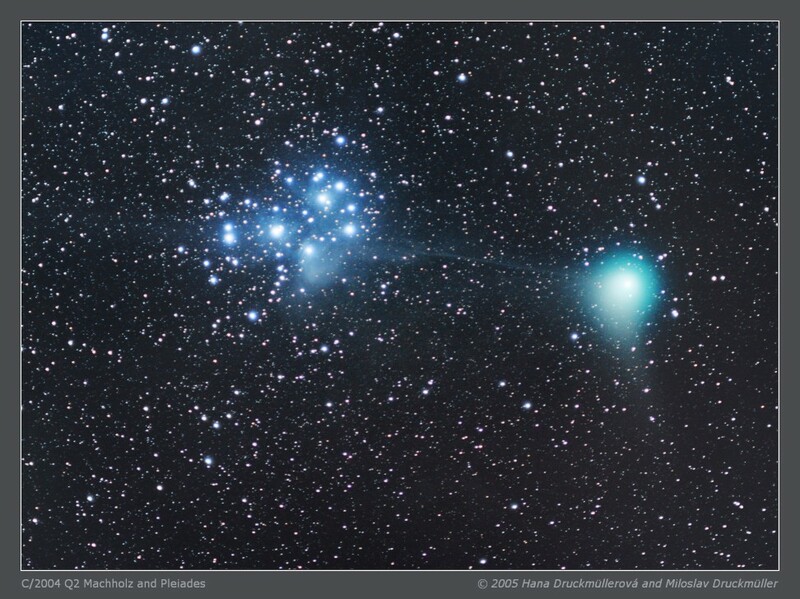 Encounter of Machholz comet with Pleiades was a fascinating event. 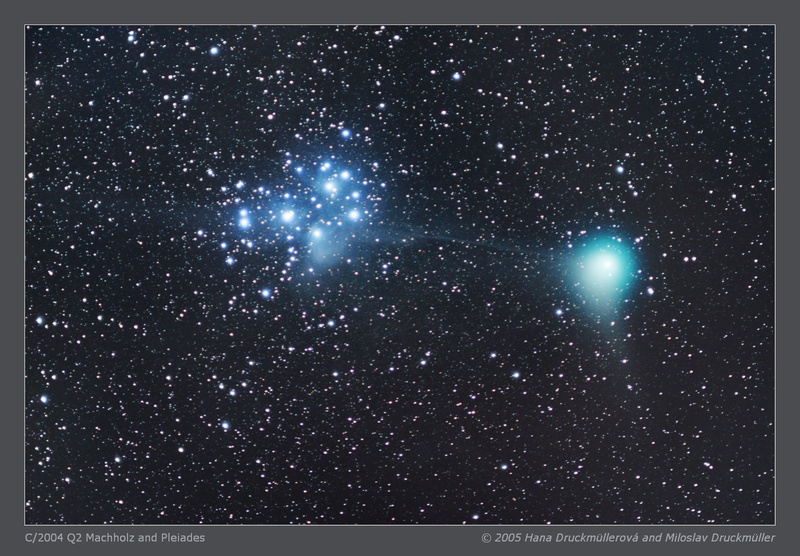 At midnight January 7th/8th the narrow ion tail was passing directly through the Pleiades open cluster. The unusual viewing geometry caused that the angle between the blue ion tail and white dust tail (directed downwards) was about 115°. Click on the image or on the following reference to display the higher resolution image version (637 KB, JPEG format). Processing Composition of two images, the first image taken with 629 s exposure was the main one, the second 143 s image was used only for improving the overexposed part of the first image. The image alignment was done separately for stars and the comet.